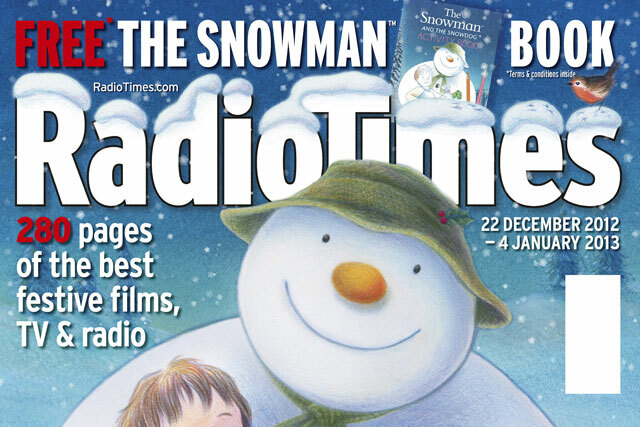 Print revenues are growing at the company that rolled together BBC magazine titles such as Radio Times with digital publishing company Magicalia, according to its chief financial officer. Kevin Langford was speaking to Media Week after the maiden financial figures for Vancouver Topco, the holding company for the extensive publishing interests of private equity firm Exponent, were published on Companies House this week. These interests include Immediate Media London and Immediate Media Bristol, as BBC Magazines and Bristol Magazines were renamed after their acquisition by Exponent in the autumn of 2011, as well as Magicalia, a digitally-focused publisher already owned by Exponent. Langford was reluctant to provide figures backing up his claim that print is showing growth, but elaborated that growth was on an organic basis, that print revenues are mainly made up of the businesses acquired from BBC Worldwide, and print growth was not as strong as digital growth. Vancouver Topco’s results, published at Companies House this week, show the company made revenues of £65.6m (including £2.1m from joint ventures) from the start of trading on 1 November 2011 to the end of the financial period on 31 March 2012. The pre-tax profit during the period was £211,000, but Langford pointed to an EBITDA (earnings before interest, taxes, depreciation and amortisation) figure of £11.3m. "Trading is better than Exponent thought it would be when [BBC Magazines] was acquired," Langford claimed, confirming this was the case for the company’s current trading as well. Of his expectations for the current financial year (to 31 March 2013), Langford said: "We will be growing on a top line and bottom line [EBITDA] basis." He ascribed the performance to the company having "leading brands" and "a relatively upmarket audience that is much more resilient in the economic circumstances we’ve got". While Langford described the company’s ad sales performance as "pretty ok this year", he suggested the strength of its subscription base was a more significant factor. Ad sales accounted for less than a quarter of the company’s revenue, he disclosed. The group also published financial figures for Immediate Media London and Immediate Media Bristol for the year ending 31 March 2012, during which control transferred to Exponent. Immediate Media London’s revenues were £114.1m, down from £117.1m the previous year, while its pre-tax profits were £8.7m, up from £1.1m the previous year. Immediate Media Bristol’s revenues were £20.8m, down from £19.5m, while its pre-tax profits were £2m, up from £1.8m. After the two businesses transferred out of the BBC Magazines stable on 31 October 2011 they took slightly different form. BBC Worldwide retained ownership of the magazines and websites for Top Gear, Good Food and Lonely Planet, though Immediate Media generates revenue from publishing the magazines under contract and selling ads for the magazines and the websites on an agency basis. The former BBC Magazines business reported revenues of £164.5m and operating profits of £21.6m in the year ended 31 March 2011, according to BBC Worldwide’s annual report for 2010/2011. The business included joint ventures in India and Australia which Exponent did not acquire.